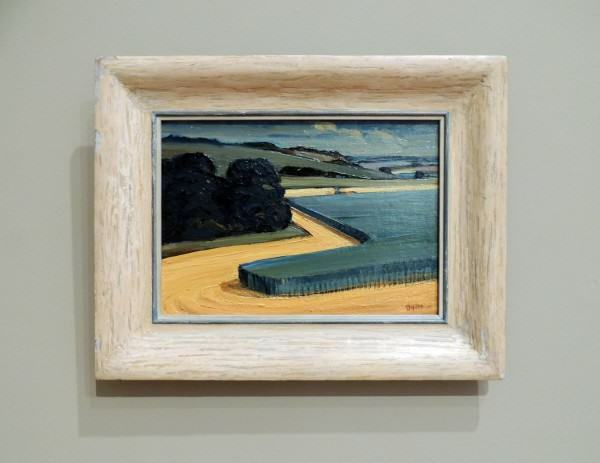 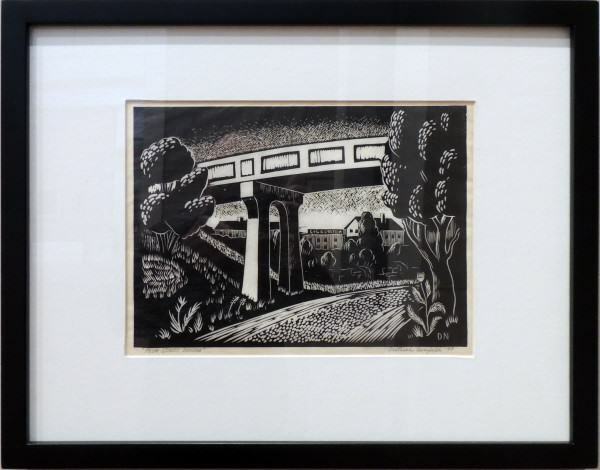 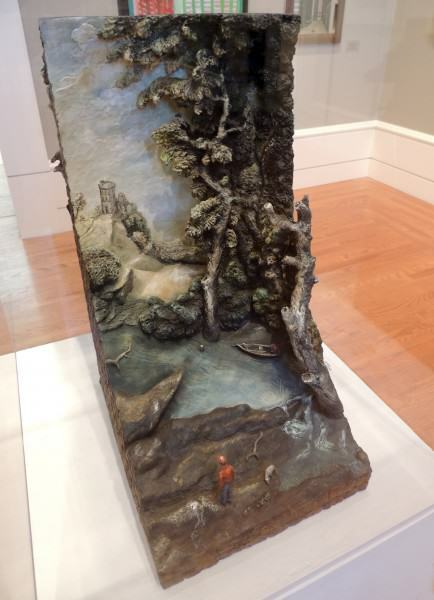 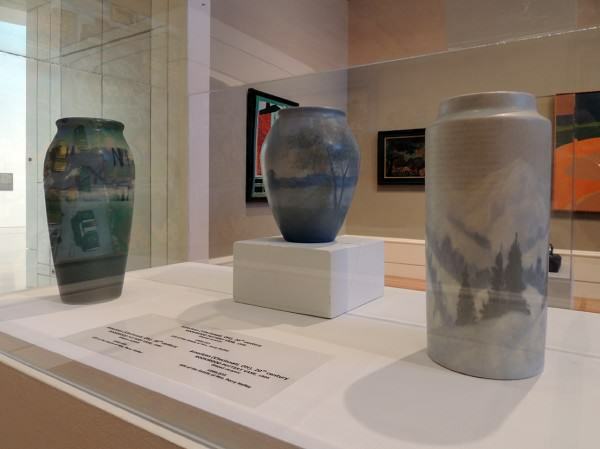 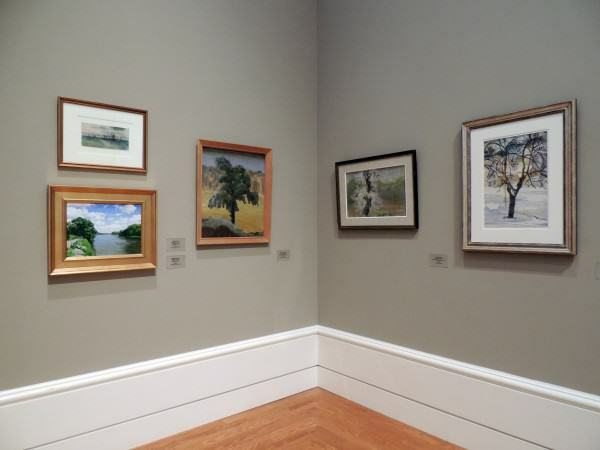 This exhibit presents works of art inspired by the Ohio landscape. 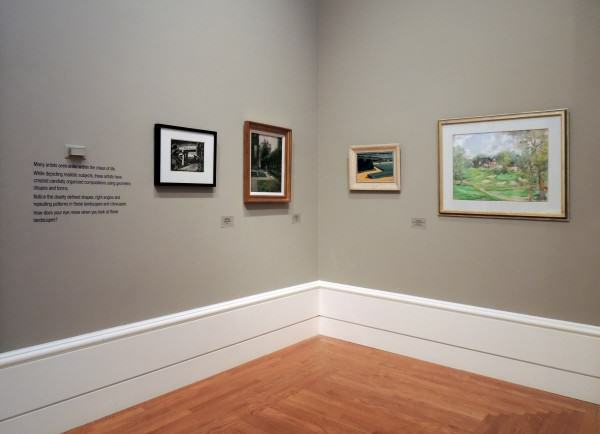 From cities and towns to farms, woodlands, and riverbanks, artists have been moved to create works provoked by the environments of Ohio. 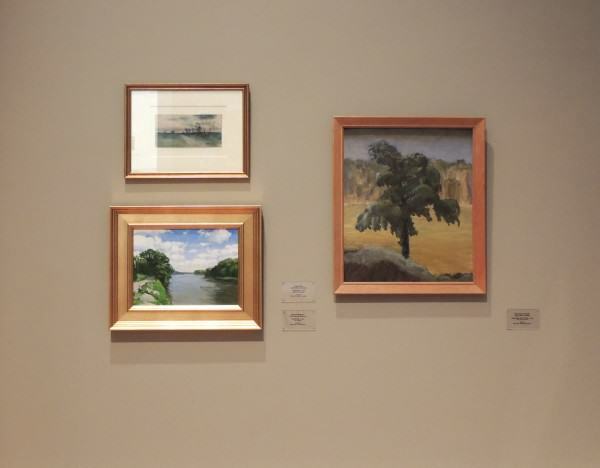 Some images are realistic views while others are abstract, and the artists invite us to look at these scenes from different perspectives – far away, high above, up close and personal. 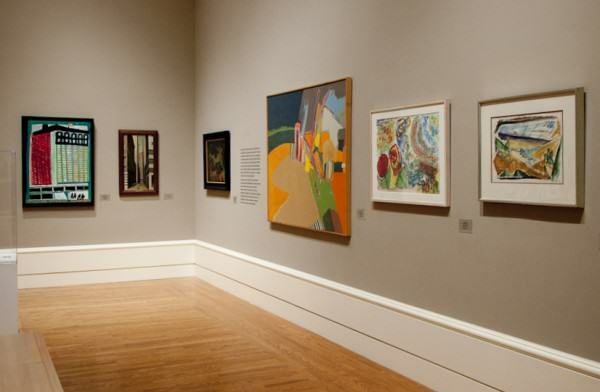 As you look at each work, think about where the artists have positioned you, the viewer. 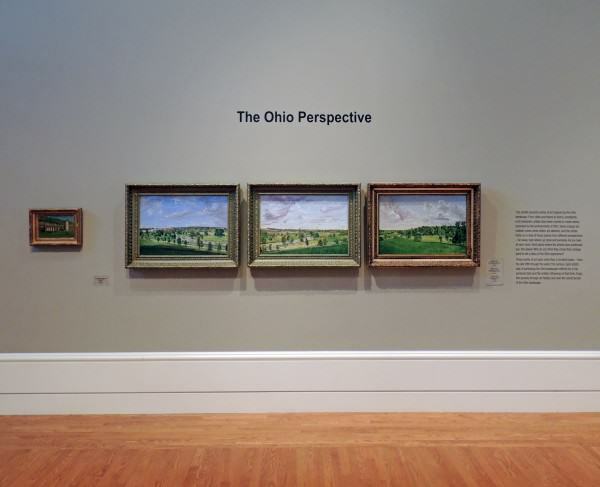 Why do you think they chose that vantage point to tell a story of the Ohio experience? 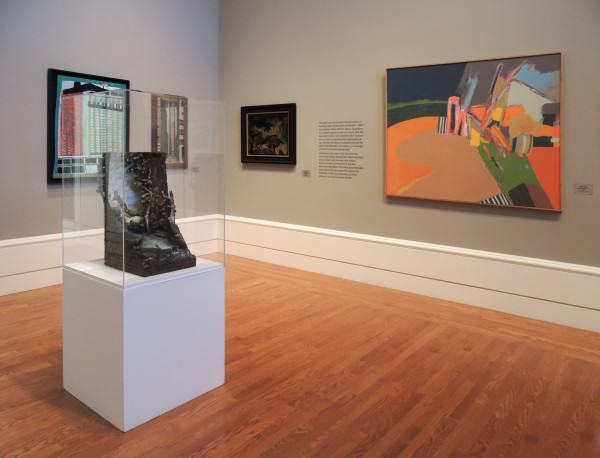 These works of art span more than a hundred years – from the late 19th through the early 21st century. 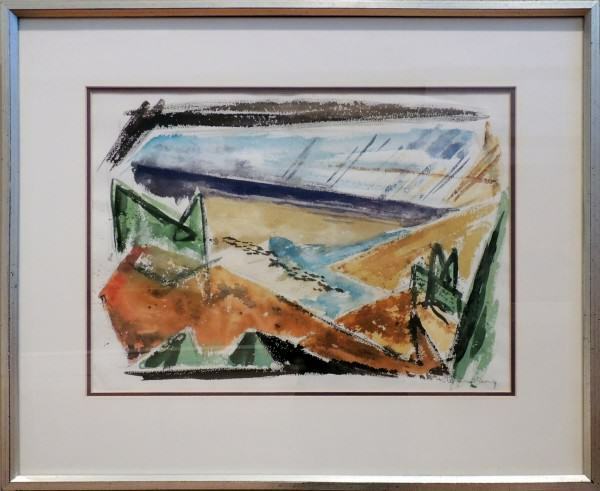 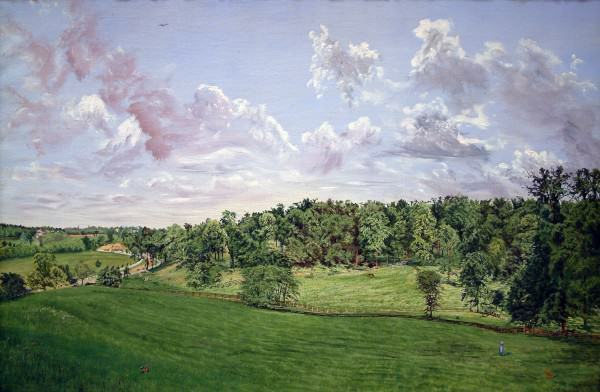 Each artist’s way of portraying the Ohio landscape reflects his or her personal style and the artistic influences of that time. 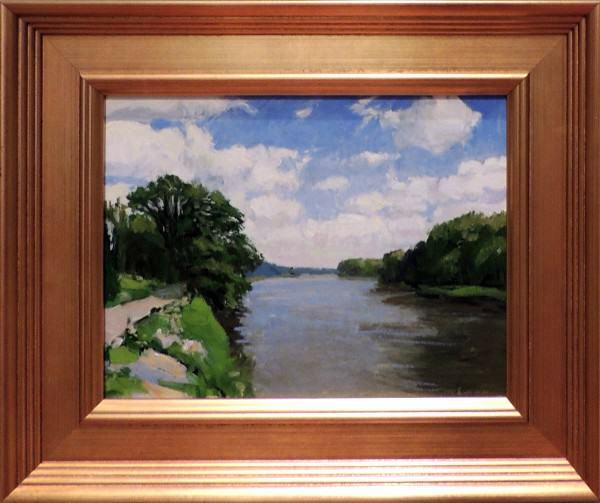 Enjoy this journey through art history and over the varied terrain of the Ohio landscape. 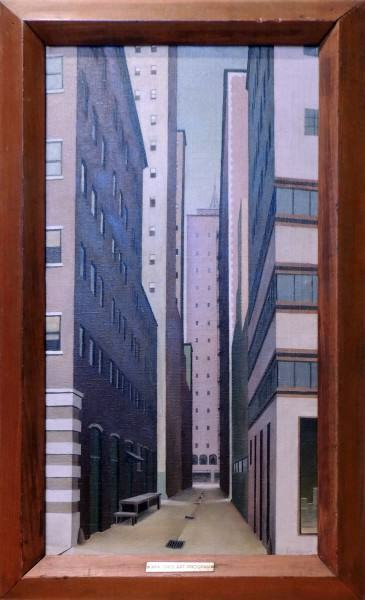 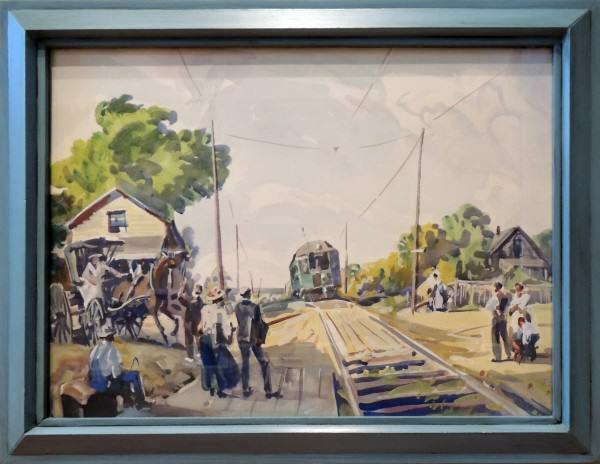 Ohio artists in the 20th and early 21st centuries have had two distinct ways of depicting their environments – realism and abstraction. 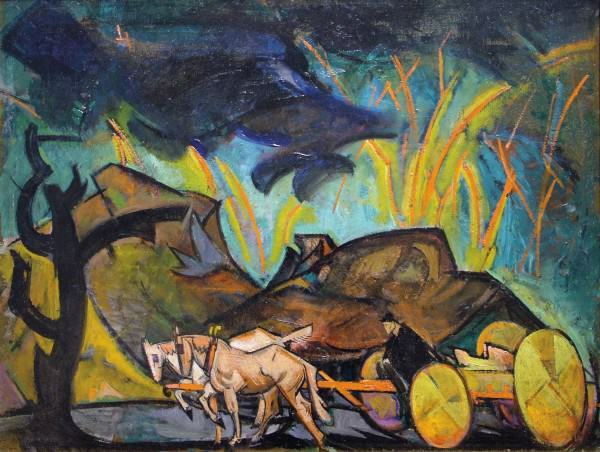 William Sommer’s Cart in a Thunderstorm is an excellent example of a style from the early 1900s that was rooted in realism, but incorporated modern influences such as cubism and Japanese prints. 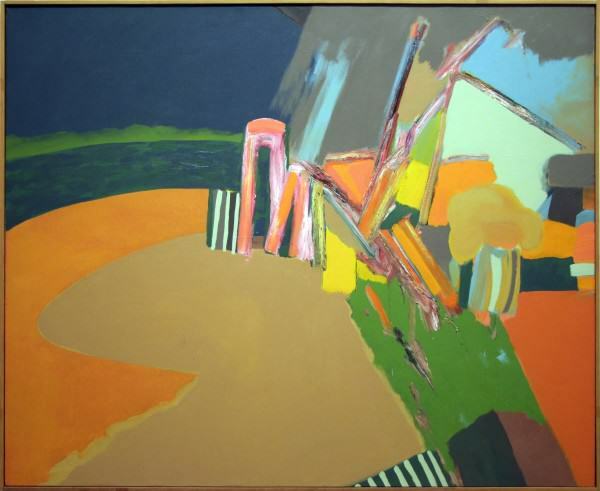 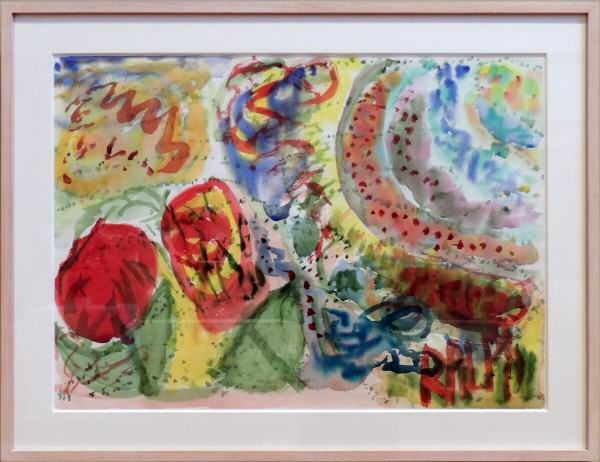 Angelo Ippolito was part of the New York Abstract Expressionist movement that began in the 1940s. 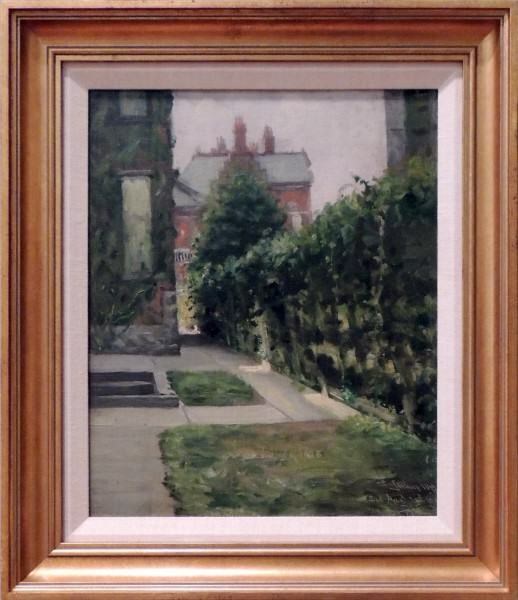 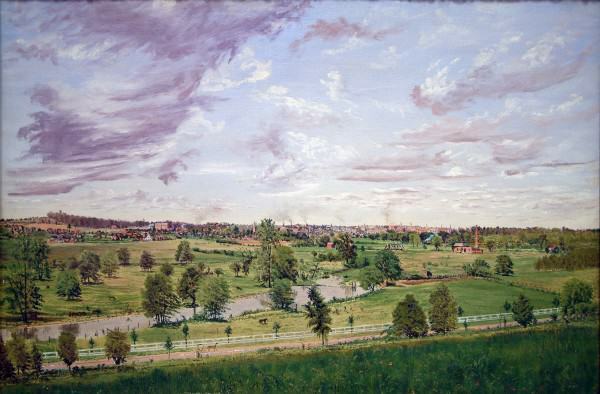 Many of his subjects, as in Landscape with Dark Sky, are almost unrecognizable. 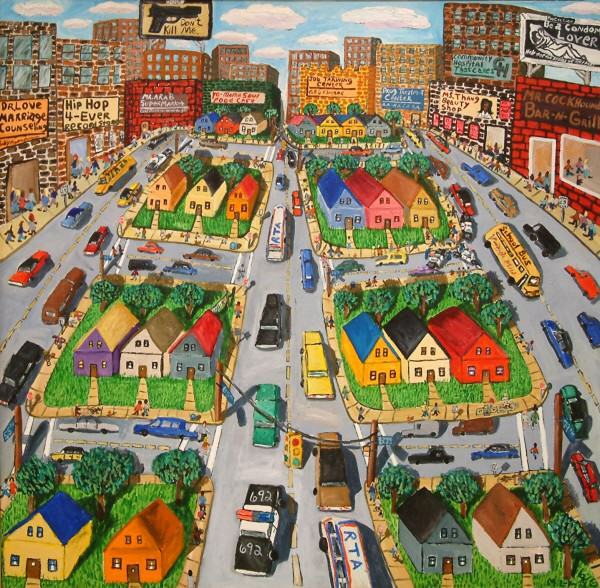 Contemporary urban artists of Ohio also portray their surroundings faithfully. 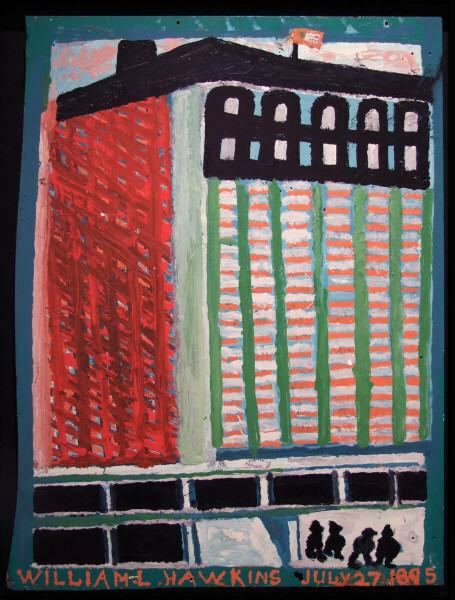 Michaelangelo Lovelace documents urban Cleveland, while Columbus native, William L. Hawkins is known for his depictions of Columbus landmarks in bold patterns. 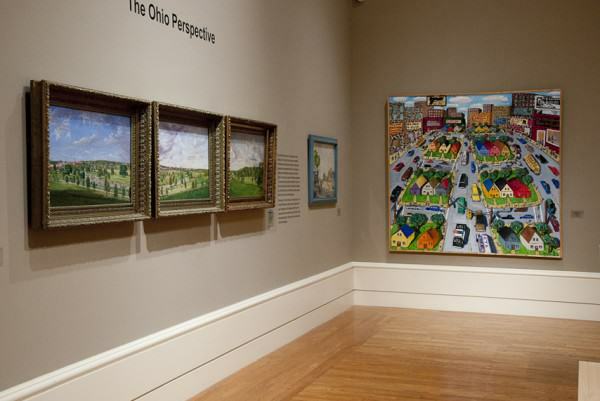 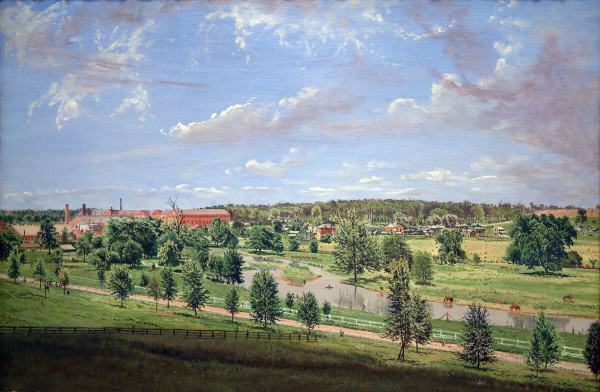 From landscapes to cityscapes, many artists of Ohio have devoted their careers to the examination of their local environments, providing a reflection of our shared community identities.